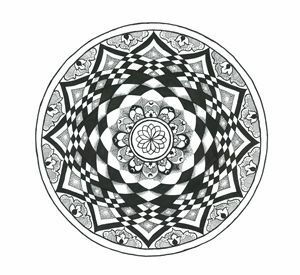 I drew this design originally as an idea for inside a CD cover, but as it progressed the theme changed, and it became optical illusion inspired. It reminds me of being a child and looking through a convex shaped glass paperweight, or and old style magnifying glass, looking down onto the image below. It has the appearance of layers of petals folding down in a mound. 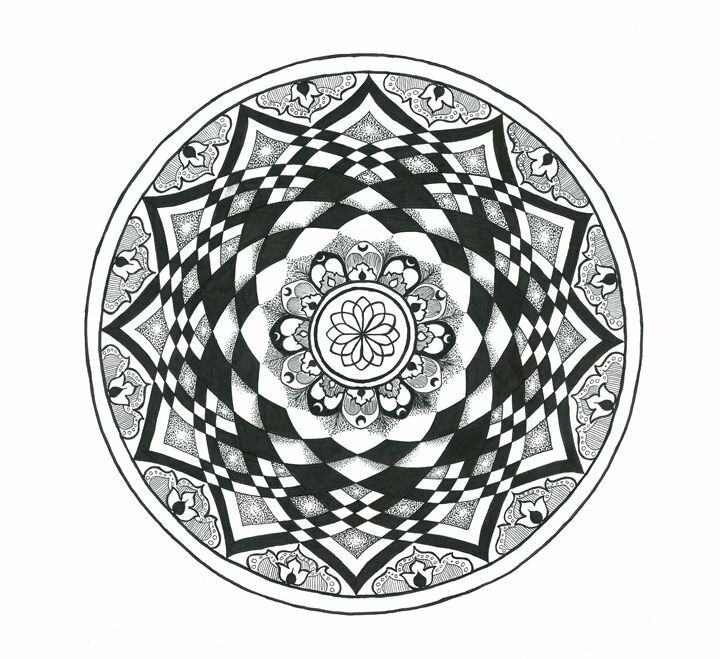 It is drawn with black pen on white paper, and the design was measured very carefully using a compass and ruler.